The above graphic is from the NWS webpage this afternoon. 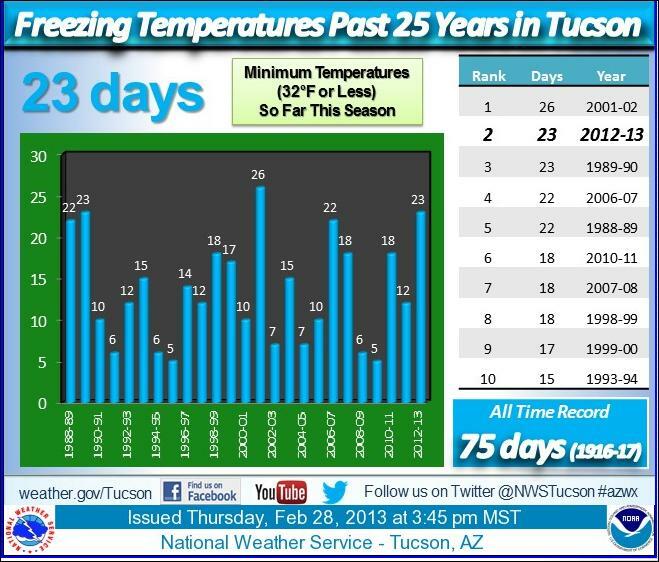 The 23 days so far this season with lows of 32F or colder at the airport (TUS) is the second highest number for the past 25 years. As readers here know, the airport location is one of the warmer spots in the metro area. To contrast, here at the house (within the Tucson city limits and near the Rillito Wash) there have been 51 days so far this season with lows of 32F and colder. 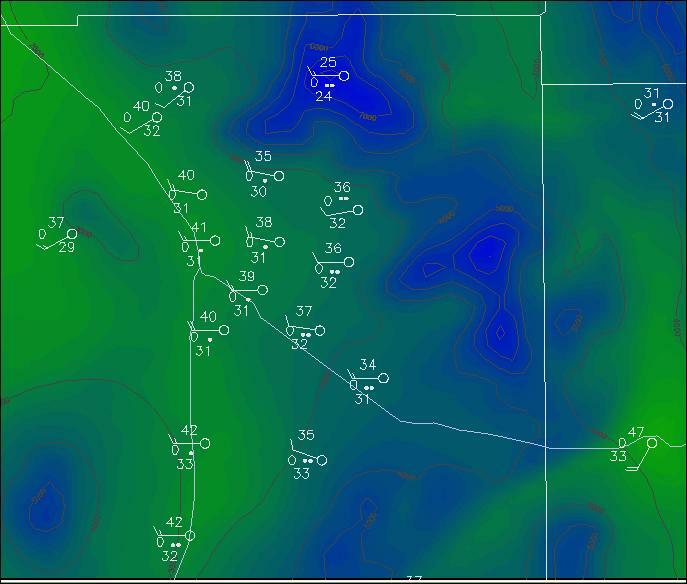 Quite a difference in number of freezes over a distance of about 11 miles. The 7 day forecasts from the operational versions of the ECMWF and the GFS have considerably different outcomes for the east coast. The ECMWF valid at 7 pm EST next Wednesday (above) forecasts a significant storm for Washington D.C. The same forecast from the GFS (below) forecasts a weaker storm, further south, that would impact the Carolina coasts. The politicians will likely be sequestered indoors, if the ECMWF is accurate. Will be interesting to see how this situation evolves. The last two days have brought golden sunsets under perfectly clear skies - above was on Monday evening. The mornings have been cold here at the house, with 6 days of freezing or below low temperatures. The last two mornings and this morning have had lows of 24F, 26F, and 27F today (Wednesday, February 27th). Very little weather indicated by the global models for the Southwest through the next ten days. Above is GFS, operational version, forecast of total precipitation through March 3rd, and below is same through March 8th. 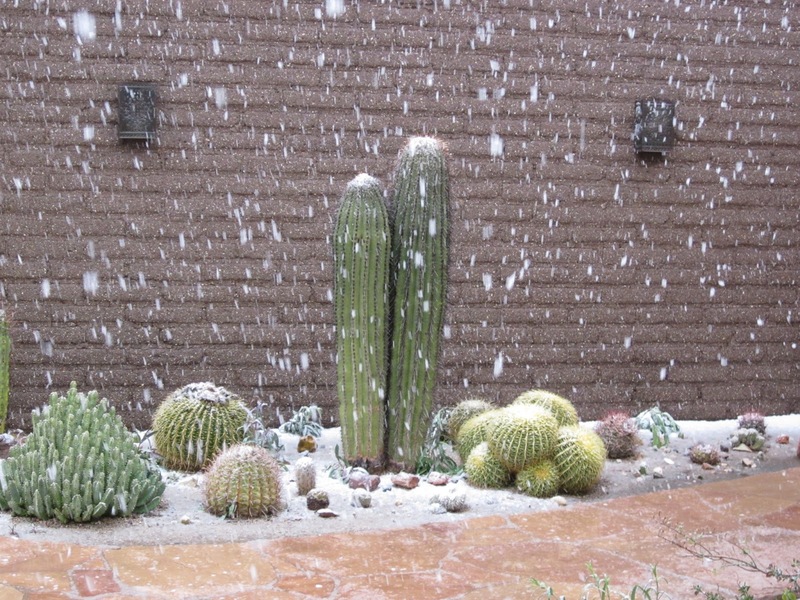 Tucson Chamber of Commerce probably happy to see this after serious winter weather disrupted events last week, getting Tucson national attention and news photos of snow on the cacti at Dove Mountain. The match-play golf tournament is now history: snow cancellation on Wednesday; snow delay on Thursday; and nasty winds and very cold wind chills on Sunday. The ECMWF operational model had an excellent forecast for the week, as highlighted in the post on Sunday the 17th. Will the PGA come back to Dove Mountain in 2014? My guess would be "not". Strong cold front passage this morning has led to a raw and windy day here in southeast Arizona. 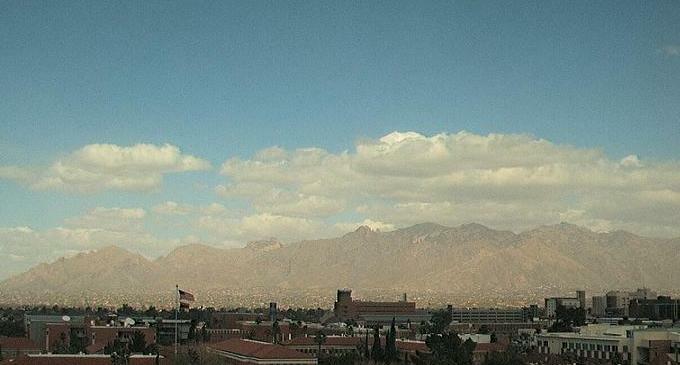 Above view of the Catalinas at about 1:30 pm (Sunday, February 24th) shows that there's some dust blowing in the wind also. 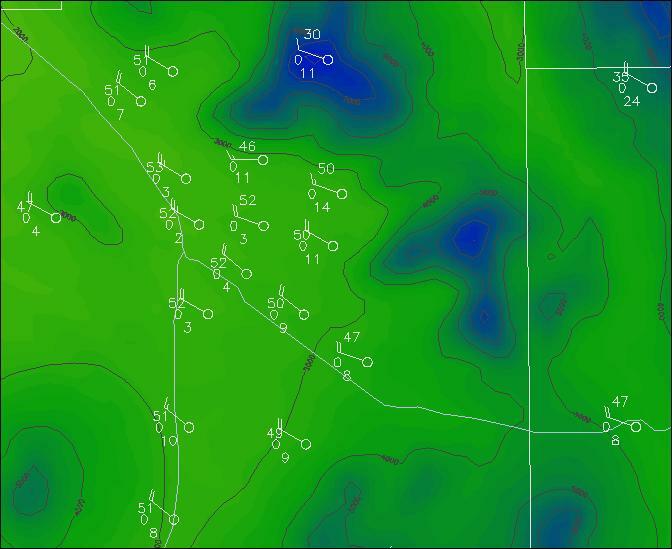 Surface plot (above) for southeast Arizona from MesoWest shows that the gusty winds are widespread (red numbers are wind gusts in mph). This morning's forecast from Atmo's WRF-GFS (below valid at 2 pm MST) was again right on. Quite a change from yesterday's Chamber of Commerce type day! 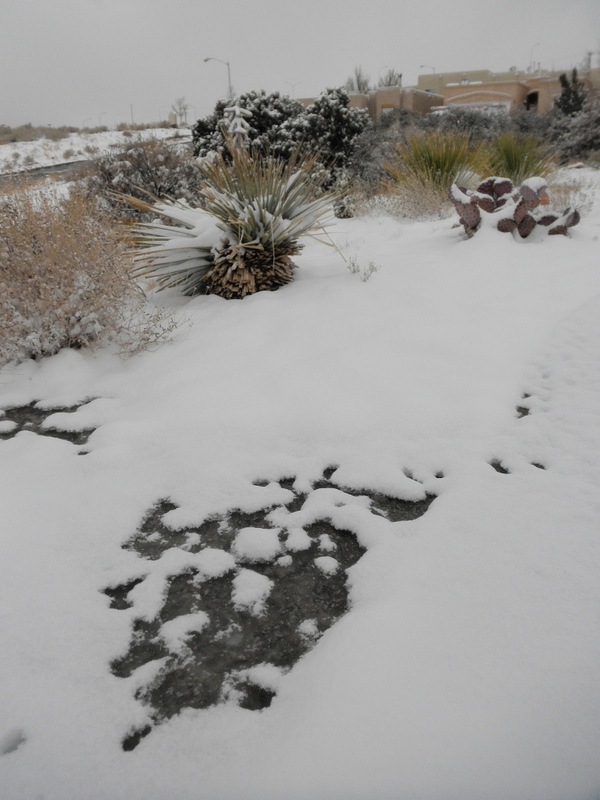 Snow made it through Albuquerque and David Cristiani sent these photos from his place on the east side of the city. After the snow at mid-day ended, there was a bit of sunshine and it melted away. Then there were rain showers, followed two more periods of snow here at the house. Snow right at dark didn't amount to much, but then there was a period of fairly heavy snow after 9 pm MST. 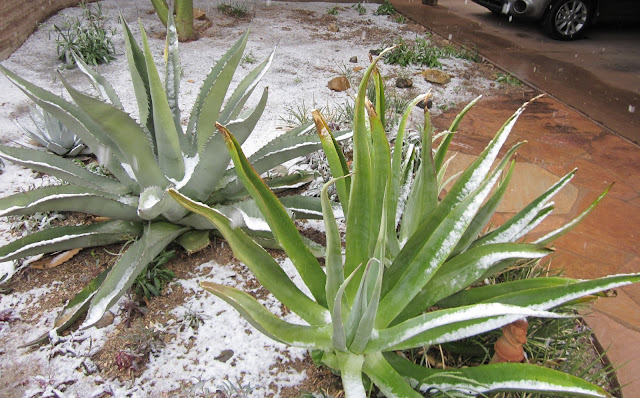 This covered the ground again (but not the patio flagstone). Guesstimated snowfall here at house of 1/2 to 1 inch. There is still a bit of snow on the ground and the rain gauge is holding un-melted snow, so a final reading will await its melting. Atmo's WRF-GFS forecast model made a number of excellent forecasts - although final precipitation amounts were higher than forecast at low elevations. 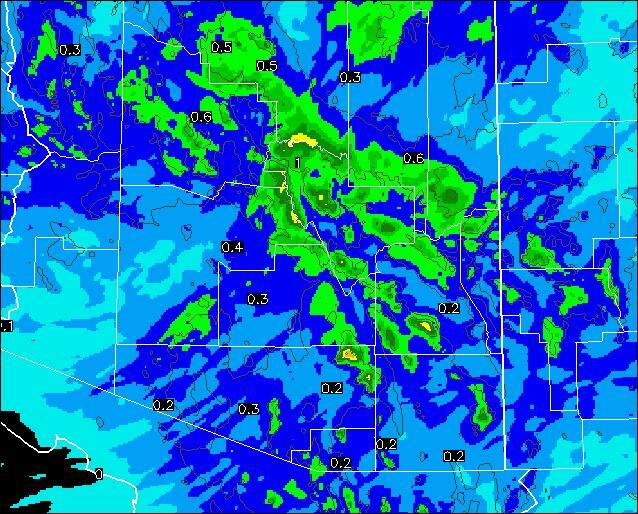 Rainfall across the metro Tucson portion of the ALERT network ranged from 0.12" to 0.63" - but there may be un-melted snow in some of those gauges also. The very cold air aloft manged to squeeze out a large percentage of the moisture that the system carried in with it. 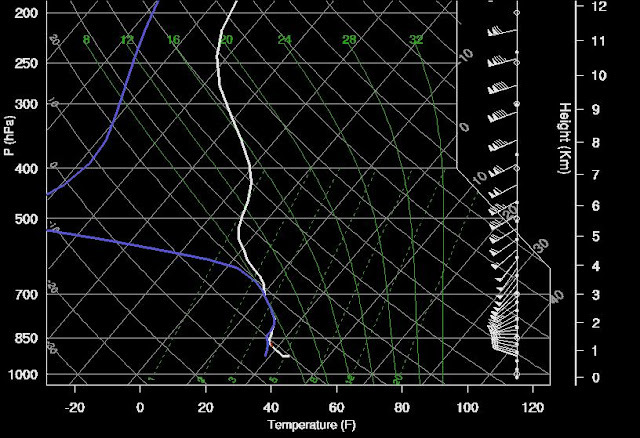 For the first time this winter, there was a complete TUS sounding when I wanted to calculate the thickness. At 00 UTC last evening the 500 mb temperature at TUS was -30C and the 1000-500 mb thickness was 5336m. Out at the golf tournament, less than half the field had gotten off the first tee when play was suspended for the day. The paper says they hope to complete both the 1st and 2nd rounds today - but there still may be snow cover out there. This morning will also see Tucson's Rodeo Parade, which will be a damp and chilly event. 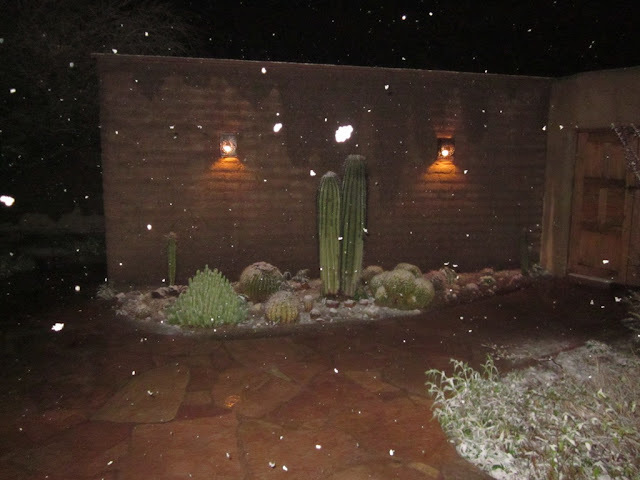 Ron Holle sent these photos from his yard in Oro Valley, taken about 5 pm yesterday. Looks like frozen orange juice out there. 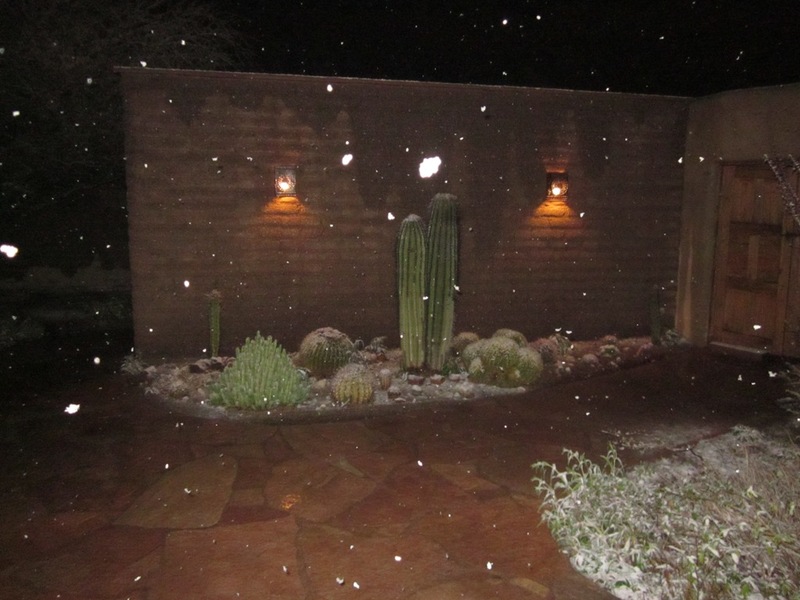 Bottom photo shows snow on ground here for the second time yesterday - taken about 9:15 pm. 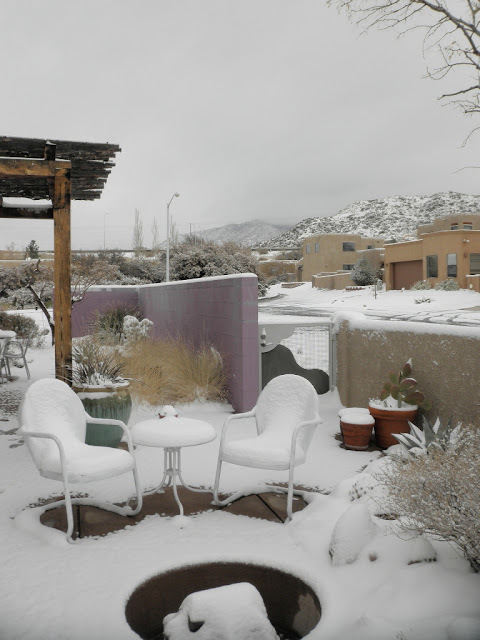 Snowed here at house from about 11:30 am MST until 12:30 pm. The WRF forecasts were just excellent, especially the soundings forecast for today in yesterday's runs. Total precipitation only 0.14" up to current time. At 6 am MST this morning the cold front, associated with the closed 500 mb low over southern California, was just moving into western Arizona. 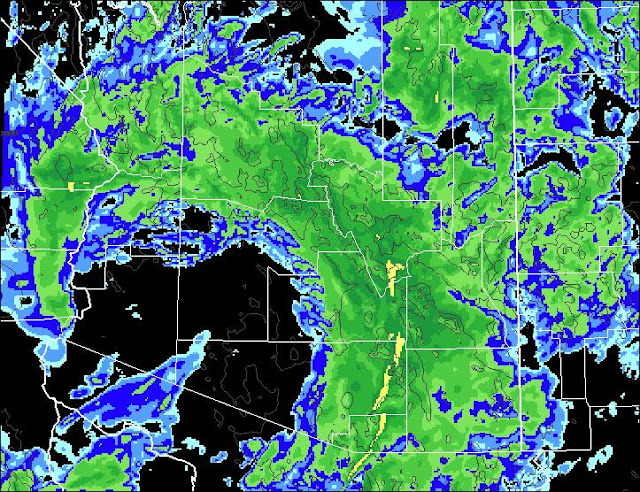 However a rain band was developing over southwestern Arizona, and the front will likely jump to the leading edge of this precipitation area. The early run of the WRF-GFS model continues to forecast the main band of precipitation to cross eastern Pima County between 10 am to noon (above forecast of composite radar is valid at 11 am). The forecast surface plot (below) is valid at the same time. Very cold and windy with the band. 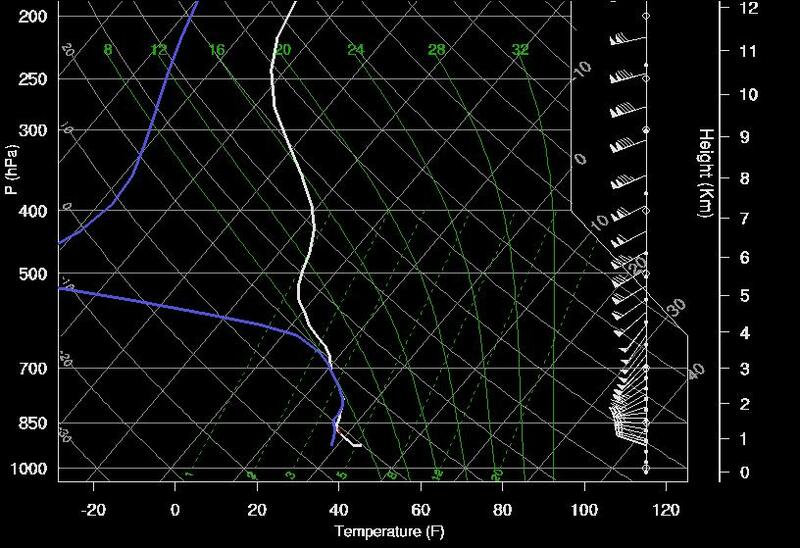 The model forecasted sounding for TUS at 11 am is shown above. The surface-based layer that is above freezing is deeper than was forecast yesterday. So, if this forecast verifies, the band of precipitation may produce a burst of heavy snow across the metro. The deeper warm layer makes it tougher to call this situation. Will just have to watch how things evolve this morning. There are few observations out to our west, so there won't be much to watch except radar, until the precipitation moves into eastern Pima County. Total precipitation remains similar to the previous forecasts shown earlier (total valid through midnight is shown below). The amounts are light again at low elevations, but with a significant snow event in the mountains. The above graphic shows the WRF-GFS forecast of total precipitation through midnight tomorrow from the run initialized at 12 UTC this morning. 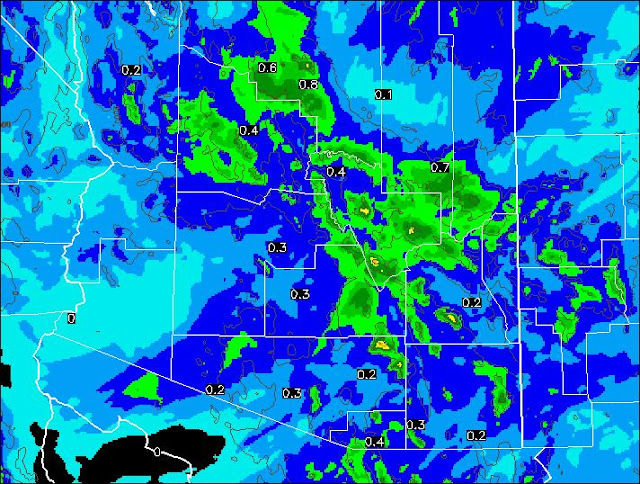 It is similar to the two forecasts shown in previous post, with slightly more precipitation at lower elevations across Pima County. 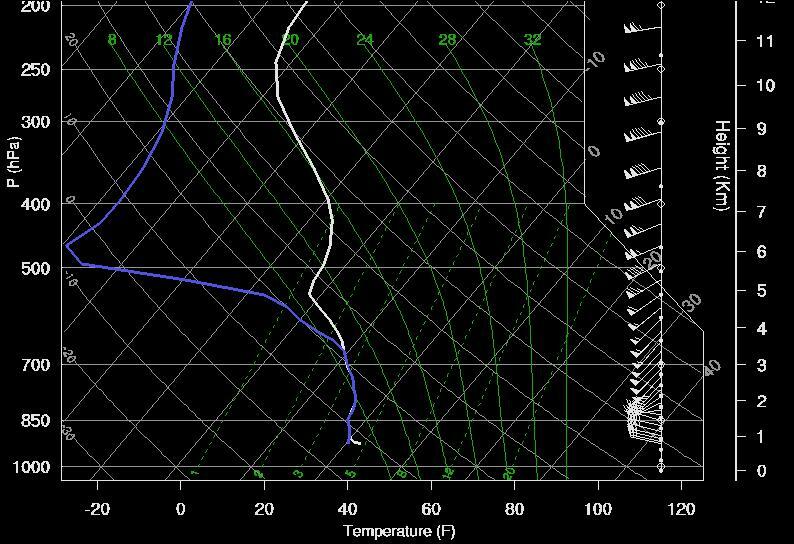 I noticed an interesting situation while looking at the forecast soundings for TUS tomorrow. The above sounding is valid at 10 am MST tomorrow from the WRF-GFS and the same sounding from the WRF-NAM is below. 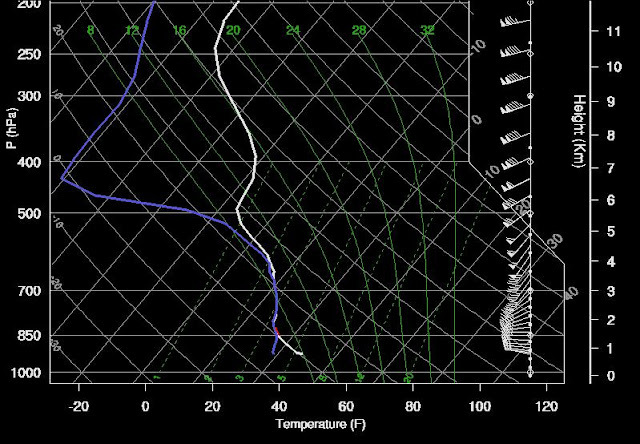 Both soundings indicate a very shallow layer near the surface with above freezing temperatures, and a deep, saturated layer above that is below freezing. If these forecast vertical profiles actually verify, then a heavy burst of snowfall will move across the metro area at mid-morning tomorrow. A very interesting possibility that I will check on early tomorrow morning! Other interesting aspects of the soundings: all the precipitation develops below about 600 mb, with dry air above; winds in the surface to 600 mb layer are forecast to be very strong, so that areas with snow will also have nasty winds and blowing snow. Doubt there'll be much golf at Dove Mountain tomorrow. 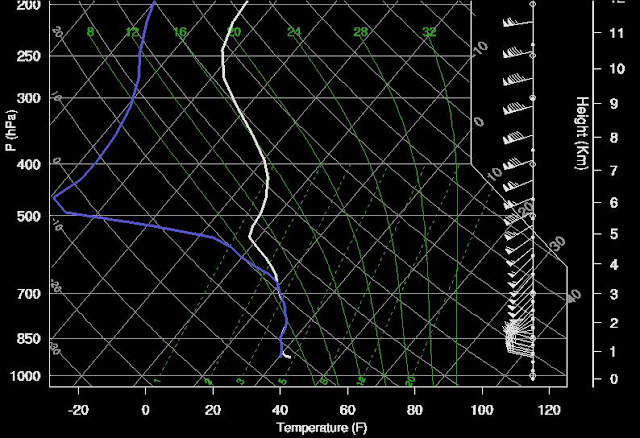 Tomorrow's event looks to be another one where the inflow of low-level moisture is limited. The graphic above is from yesterday's early WRF-GFS run at Atmo. Shown is forecast precipitation through midnight tomorrow night (Wednesday February 20th). The same forecast from this morning's early run is shown below. 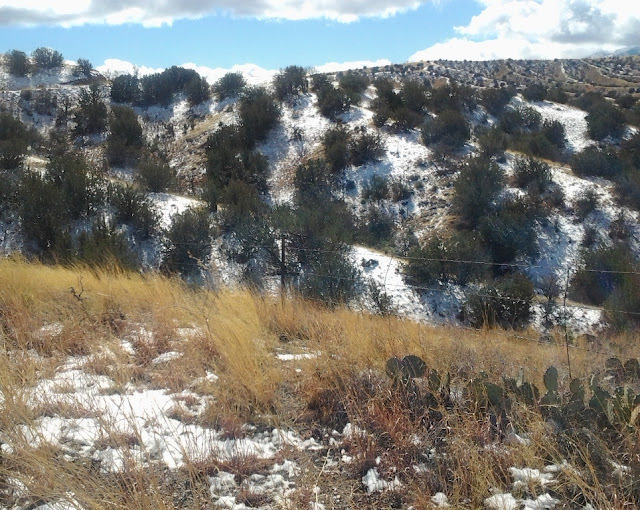 Across eastern Pima County the trend in the forecasts is toward lower rainfall amounts at low elevations and increased snowfall at higher elevations. Currently, precipitable water (PW) is limited for this system. 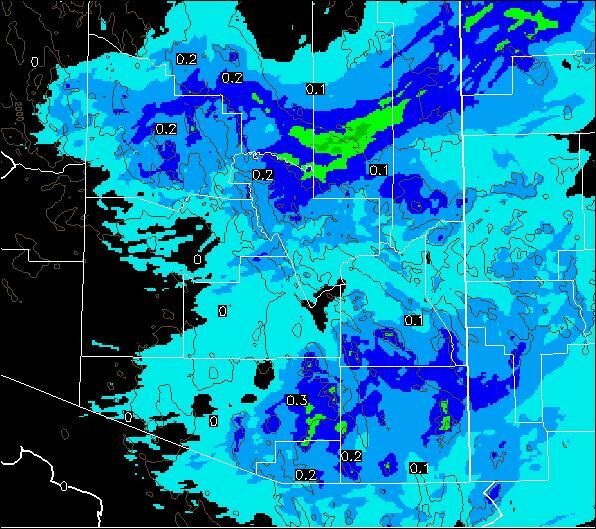 Shown above is blended PW from CIRA at Colorado State University valid at 5 am MST this morning. 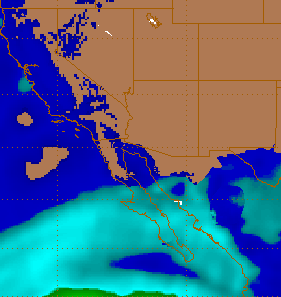 There is a band of moisture across the southern 2/3rds of Baja, where PW values are around an inch (brighter blues). Here in southeast Arizona the final results for this event may depend upon whether this moisture to the south is pulled northward ahead of tomorrow's cold front. 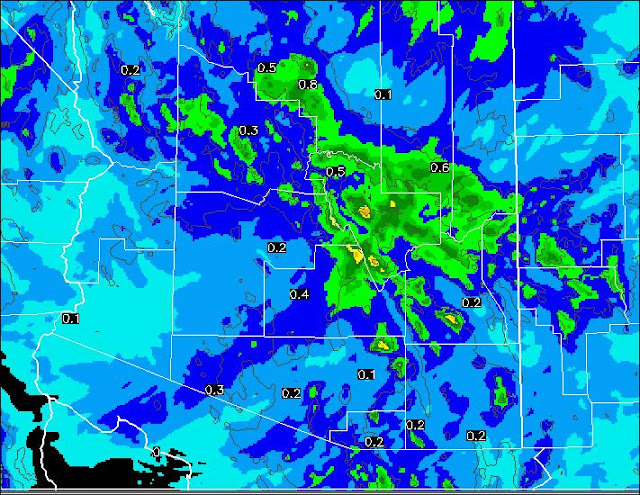 The early WRF-GFS from this morning forecasts the cold front and main rain band to be crossing the Tucson metro area between 9 and 10 am tomorrow morning (below). The forecast surface plot below is valid at 10 am MST - looks like a very raw morning with cold rains over the city. 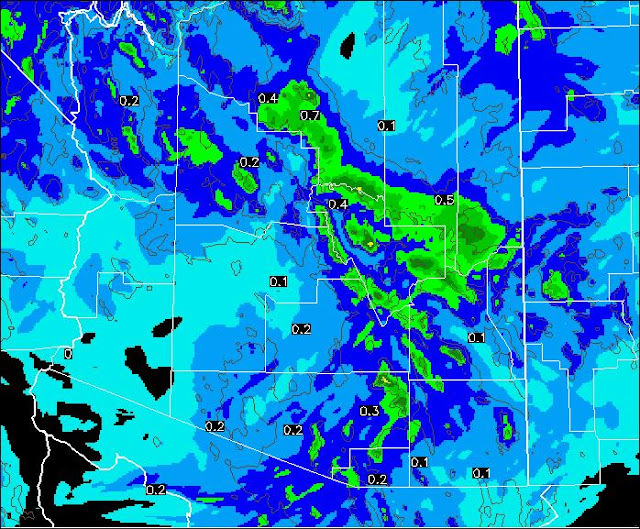 The current WRF moves only one major rain band across eastern Pima County, with the event ending by early afternoon. Will check back on the low-level moisture situation and the new 5 am model runs later today. Re: Who the heck is this? 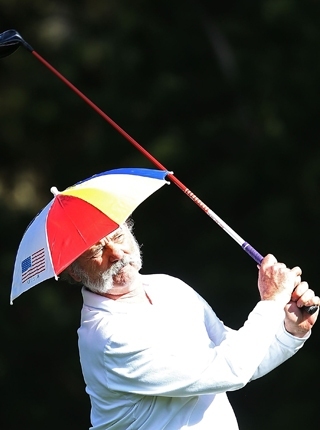 The guy in the umbrella hat in previous post is well-known golfer Bill Murray, playing at Pebble Beach last week. 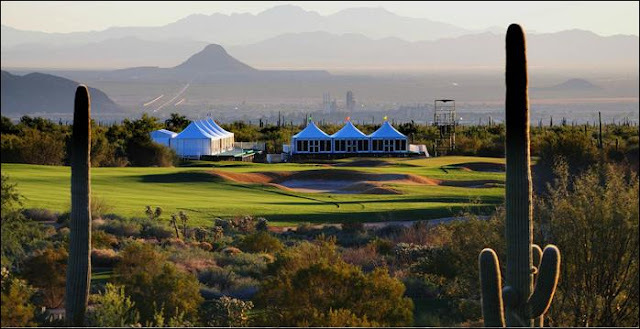 The match play golf event at Dove Mountain this week will feature 32 matches on Wednesday (February 20th) and the semifinal matches Sunday morning, followed by the championship match Sunday afternoon. Above is the ECMWF operational forecast for 500 mb valid Wednesday morning and below valid Sunday morning. Looks like two strong, cold, and potentially stormy frontal passages on key days. Of course, next Sunday is seven days away, so much can happen by then. Perhaps this famous player has the right idea? Who the heck is this? In 3-D. Script by Ray Bradbury. 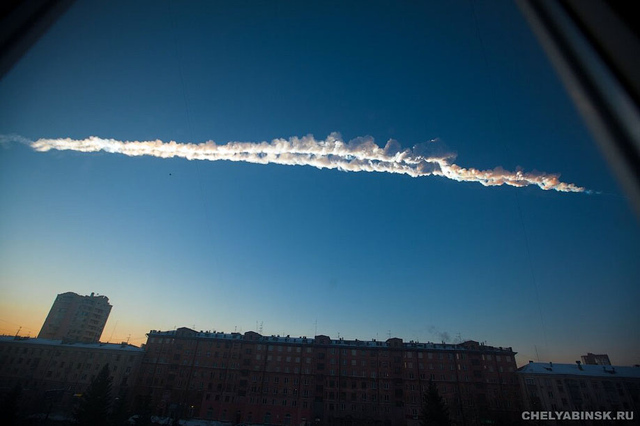 Thank heavens this didn't happen in the 1960s and trigger nuclear war! Edited to add: Now that the sun's up, the webcam view of Catalinas above shows that it's definitely a dreary start to the day. The north edge of the cirrus is visible at left side of the view. This morning (15 February) a large area of high cloudiness from west of Baja is intruding into southern Arizona (above is water vapor image from 5:30 am MST). Thus, one forecast issue is how cloudy it will be and when during the day. The "when" question is probably easiest, since thin cirrus is already overhead. The how cloudy (i.e., how dreary) issue is more difficult. I have examined the early WRF-GFS forecast from Atmo and show above total outgoing long-wave radiation and below total incoming solar radiation (both in watts per meter squared). Both forecasts are valid at 10 am MST this morning. the northern edge of the clouds is fairly sharp both in the forecast and in current satellite imagery. 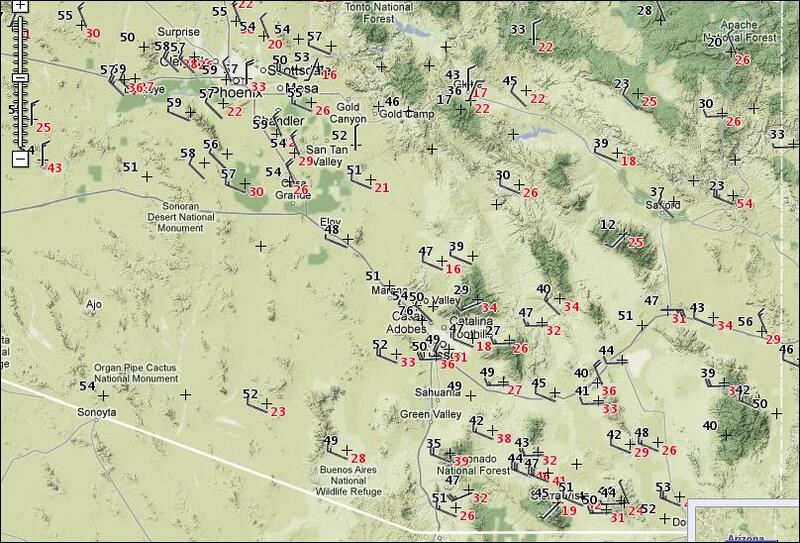 So, the model forecast indicates dreary along the Borderlands this morning but mostly sunny up in Phoenix. 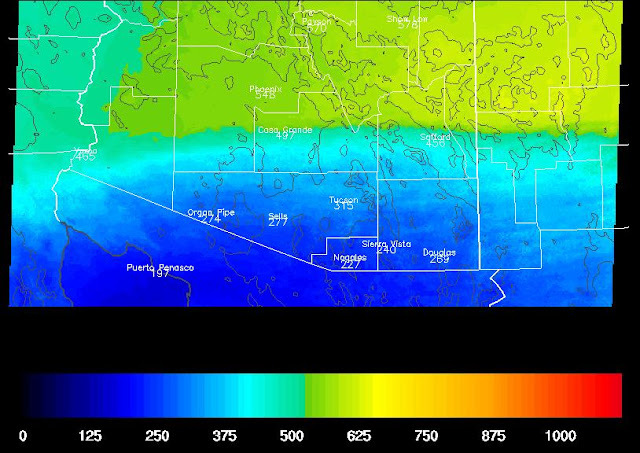 However, by 2 pm the model forecasts sunny skies across all of southern Arizona except the far southeast corner, near Douglas. The forecast is tough re the timing, since flow in the upper-troposphere is quite strong. The timing is quite important for a number of practical reasons. This time of year solar in put is highest from around 10 am to 2 to 3 pm. If thick cirrus is overhead during this time of day, then the output from solar panels will be way down. The standard NWS ASOS observations won't shed any "light" on this issue, since clouds above 12,000 ft agl are not detected and automated surface observations will report "clear" even when it's quite overcast. continue with fair and mild weather. 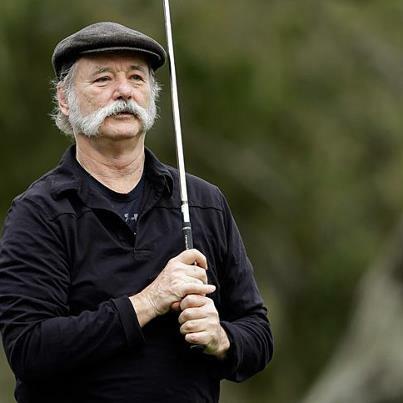 However, the professional golfers will be in town next week for their unusual match-play tournament. This event has seemed to be a magnet for wintry weather, with the start of the last day delayed by snow either last year or year before. The course they play is out north in the Tortolita Mountains and at elevations around 4,000 ft MSL. Photo above shows tents and stuff at the course. Note the widespread, invasive, non-native grass out there. 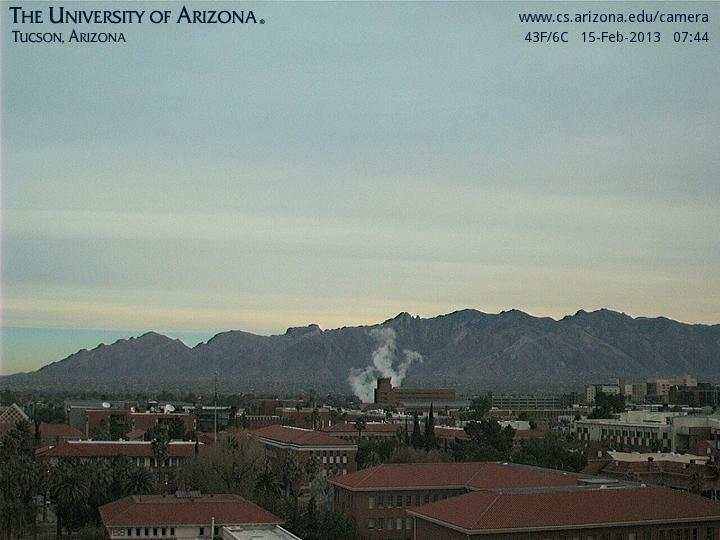 Tucson is down in the dirty air in the distance (photo is looking south with the downtown buildings just showing in the murk). The long range forecast models bring the spell of nice weather to an end during the golf tournament. The above is the operational ECMWF 500 mb forecast valid at 5 pm MST on Wednesday the 20th (tournament runs from the 18th to the 24th). As for the GFS, it too forecasts substantial change next week. The ensemble-average 500 mb forecast (above) for 5 pm MST on Tuesday the 19th indicates a deep trough along the west coast. It is interesting how little spread there is in the GFS ensembles at 144-hours (below). All the members have about the same forecast for North America. Will be interesting to watch how this evolves. Yesterday's precipitation event ended here at the house around dark - total was only 0.15". Looks like 100% coverage across the ALERT network again. Amounts were light, but somewhat better than Saturday's event. There were 7 sites that measured rain amounts of more than 0.25", but no amounts of 0.50". snow amounts unknown, but roads to Mt. Lemmon and Madera Canyon were closed yesterday afternoon. Once again Atmo's WRF-GFS provided excellent forecasts. 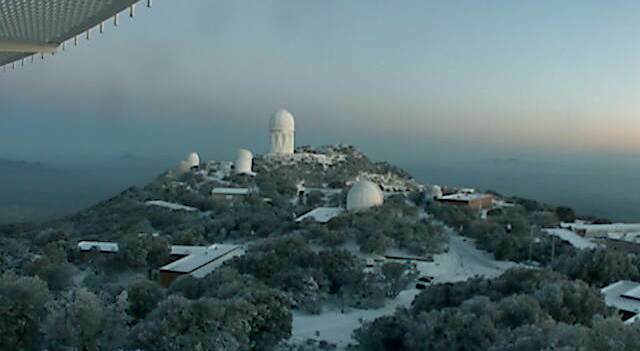 Actually, some school delays and closings today across southeastern Arizona! 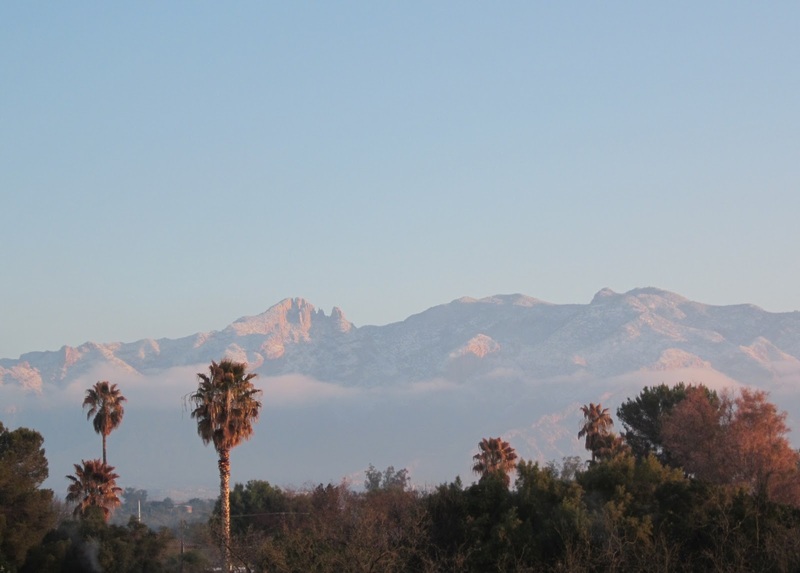 Photos of the Catalinas and Kitt Peak at sunrise today are above and below. This was the second event this winter where I wanted to check on what the observed 1000-500 mb thickness was. 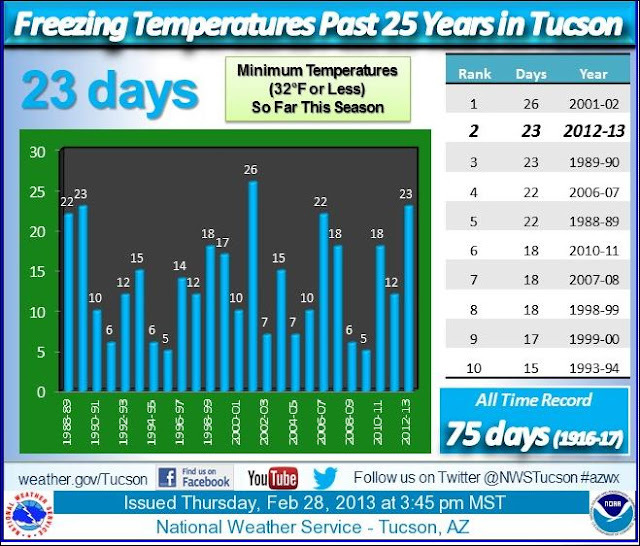 But once again the NWS RSS sounding system failed here at Tucson and there were no upper-air data. So it goes. The system that will affect much of southeastern Arizona this afternoon has been digging south-southwestward across the Great Basin during the past 24-hours. I have looked at the NWS NAM and the Atmo WRF-GFS model forecasts that were initialized at 06 UTC (midnight). There are several interesting aspects to the forecasts. First, the 500 mb vorticity maximum is forecast by the NAM (above forecast is valid at 5 pm MST) is forecast to move across southern Arizona during the afternoon, so forcing for upward motion will be significant. This is another cold and relatively dry system, and temperatures aloft are again very cold. 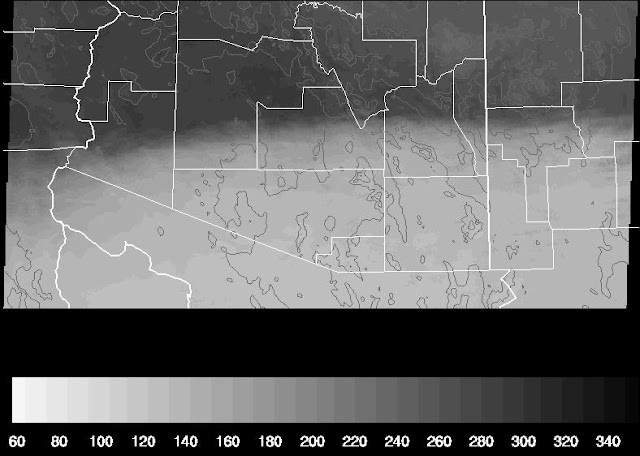 The NAM forecast of 1000-500 mb thickness (below) valid at midnight tonight brings thicknesses less than 5340 m across southeastern Arizona. Meaning the snow levels will drop very low late this afternoon - perhaps into the metro area, if precipitation lingers late enough into the evening. The midnight run of the WRF-GFS has precipitation moving out of eastern Pima county by around 9 pm, so there may be some flurries around the area. 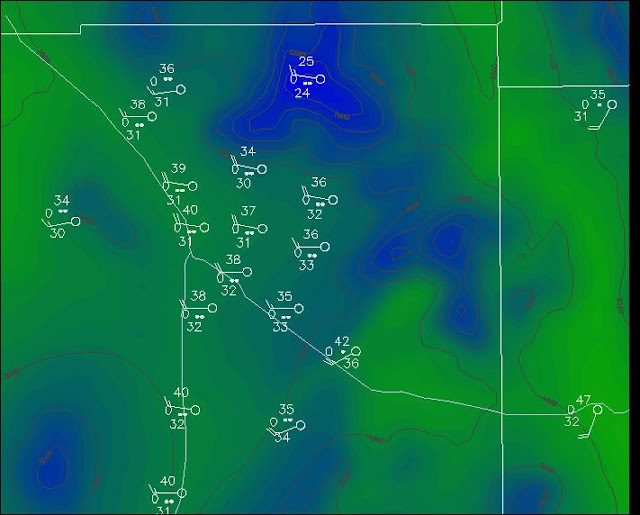 The surface plot forecast for 2 pm is shown above, indicating a pretty raw afternoon here in Tucson. The WRF forecast for total precipitation through midnight tonight (below) is quite different than those for the last two event. The model is squeezing out more precipitation over the lower elevations of eastern Pima County, indicating that key ingredients come together nearly overhead. An interesting forecast, we'll have to keep an eye on the situation and take a look at the new forecasts from the morning data. Katie shot these photos of snow along Highway 83, south of I-10, yesterday at mid-day. 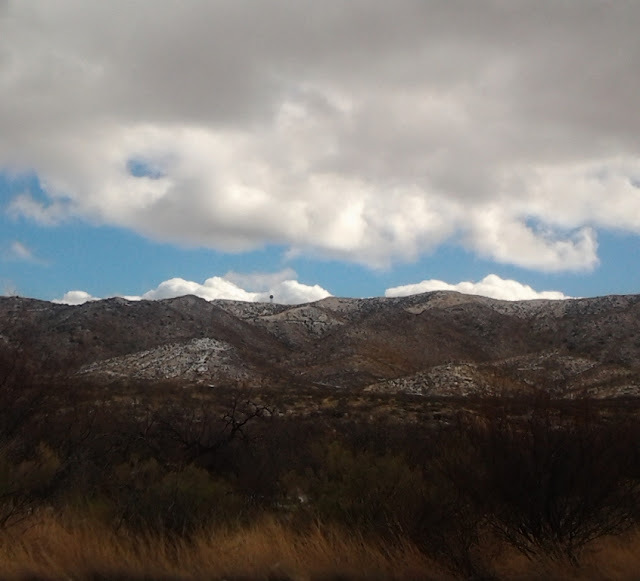 Top shows the NWS Doppler radar atop the Empire Mountains, and bottom shows the west-east ridge that is highest point along the highway between I-10 and Sonoita. 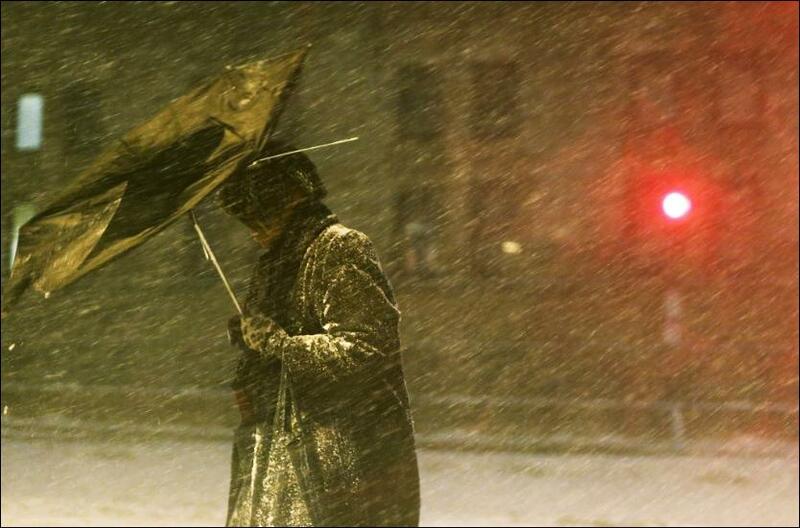 For contrast, below was taken in Boston on Friday evening.